Tom Sizemore Sentenced To Jail. Superior Court Judge Cynthia Rayvis sentenced Tom Sizemore to 16 months in jail today, ruling that the drug-addicted actor had violated his probation from a previous drug case when methamphetamine was found in his car this past May 8th. During sentencing, Judge Rayvis said that Sizemore “has been in every program, and here he is again,” and that he has “abused the privilege of probation” and “needs to be in a lockdown setting,” and recommended that the defendant be sent to the R.J. Donovan Correctional Facility in San Diego County because of its notable drug treatment program. Martin Sheen, actor and father of another law-challenged recovering drug-addict, Charlie Sheen, agrees that prison is not the best place for Tom Sizemore saying, “I don’t think prison is appropriate for anyone who is in the grip of drug and alcohol abuse.” He was quick to add that Sizemore could in fact have success with a rehab program in prison. There is a hearing tomorrow to discuss whether or not Sizemore will be credited for time he has already spent in a live-in drug rehab. * 2003: Convicted on domestic violence charges involving his then-girlfriend Heidi Fleiss. He was released pending his appeal. * 2004: Pleaded guilty to one felony charge possession of a controlled substance (methamphetamine), and was placed on probation. * 2005: Probation was revoked when he was caught during a drug test, using a prosthetic device. It was later reinstated. * 2006: Tested positive for drug use. Three years were added to his probation. * 2007: Arrested in May for (once again) violating his probation, Sizemore was also charged with being under the influence of marijuana, opiates, and methamphetamine, and for possessing methamphetamine and drug paraphernalia. 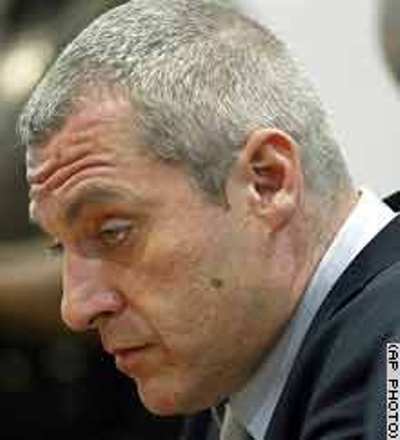 My previous post on this case: Tom Sizemore Should Be In Jail. previous post: George W. Bush Is A Dead Ringer For His Mother. next post: Paris Hilton Released From Jail. Again. 48 queries in 2.108 seconds.